“Are we heading towards the right direction for a better future?” This is the most frequent question asked by most Jordanians today. Unfortunately, socio-economic indicators do not leave much room for optimism. The public debt and budget deficit are increasing rapidly, accompanied by stories about how public money is being spent and who is responsible. As we are reaching the 100 year anniversary of the foundation of Jordan in its current political entity, revision on all levels seems to be a must, cultural, economic, development and political achievements. It is perhaps not surprising, amidst the general leveling of discontent in Jordan, to arrive to the spark of protests. As a matter of fact, this is not new for Jordan and has been part of the Jordanian political culturesince at least 1989. The failure in finding a real solution for many pending issues (reform, corruption, etc..) was due to the limited vision that denied and refused to face the problem from the beginning. Actually, some considered the popular protests a temporary superficial conflict that can be resolved with routine measures. However, this transformed the conflict into a latent growing one, at the same time turned many conceptions in the minds of people to appear like solid convictions. 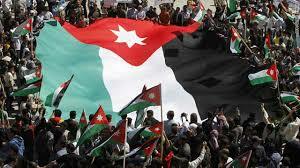 As an observer, I believe that this current government should do more to encountersthe challenges facing Jordan. This would open the door for many questions, especially, if the continuous reshuffle of government is based on strategic visions or national interests. It is important for the Jordanian state to accentuate the necessity of focusing on core issues, such as the redistribution of power amongst society and the state, where citizens feel involved in the decision-making process, particularly in matters directly impacting their lives including, but not limited to: prices-adjustments, taxation, salary fixing, inflation, political banking, strategic projects and election laws. It is imperative that the people are engaged in the processes rather than hear rumors or read about the decisions afterwards in the media. There is an urgent need to have a clear road map with concrete steps in order to achieve a real tangible change in Jordan. The Government must boost investments in agriculture and industry partnerships to ensure jobs and economic security in the region. Investments in neglected regions must be rectified.